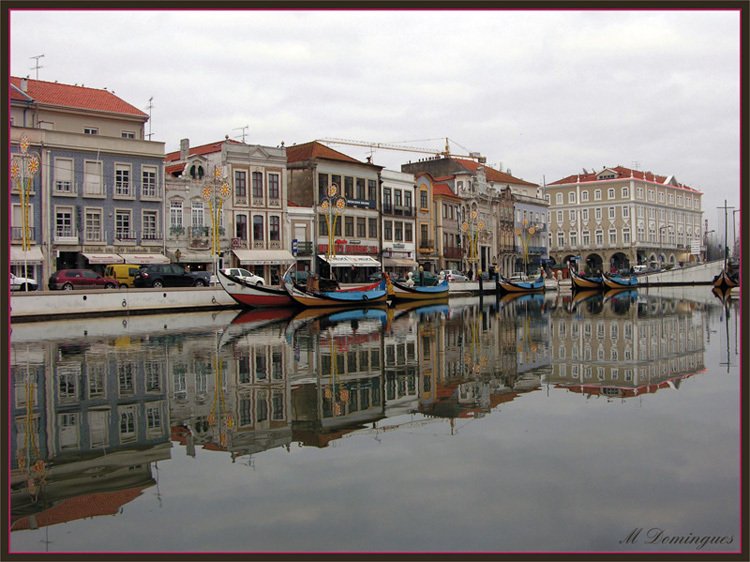 These Moliceiros (tradicional boats), are very common in the Aveiro River. Exellent perspective and beautiful soft hues! Great composition! Excellent work, my friend! Great reflections, soft colours and mood! the same time the scene is beautiful to see. a very nice and atmospheric harbour scene ... nicely the reflexions in the water...well seen, manuel!